This blogpost contains part 1 (of 4) of notes made during the Soul Family Workshop given by Cobra in Budapest on 16 & 17 March 2019. The production of these notes was a co-creative effort of Hanneke van Ginkel, Michel van de Ven and Jacqueline van Rijswijk. The notes have been reviewed and approved by Cobra on 29 March 2019. He stated these notes are: "Accurate to a great degree." 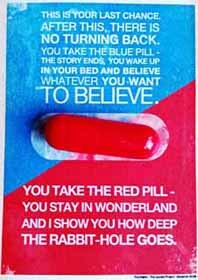 On entering the room you received a Red Pill, there is no turning back from this point! During this workshop you will receive tools and understanding to create a breakaway civilisation. These will be tools to create a totally new society structure on the surface of this planet. This workshop is the first step on your journey. You will go as deep as you feel guided. On the surface there will be few pioneers that will go all the way. These individuals will be leading others towards the New Age, Ascension, The Event and the Compression Breakthrough. We are the trigger. We are the ones manifesting the New Age. The meditation on 21 January 2019 (21/1) was a big success. It signalled the start of the New Cosmic Cycle. We are now creating our New Reality from a Galactic perspective. We are no longer waiting for the Cabal to be removed. We are manifesting our Golden Age NOW. The next few days you will receive the tools for that. Welcome to the world of the Red Pill! 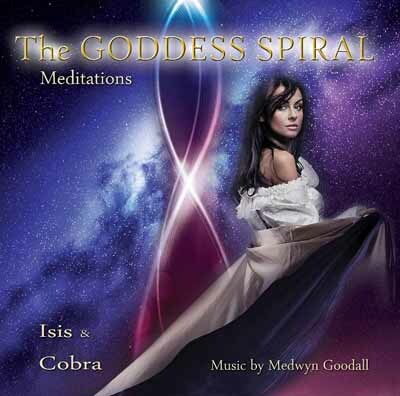 Cobra dedicates this work to Isis Astara. She is with us supporting this mission from a higher perspective in the Higher Dimensions. We will connect to the energy of the Goddess, which will be with us throughout the workshop. The purpose of this workshop, like all workshops by Cobra, is the Victory of the Light. All his workshops are directed towards that one goal. 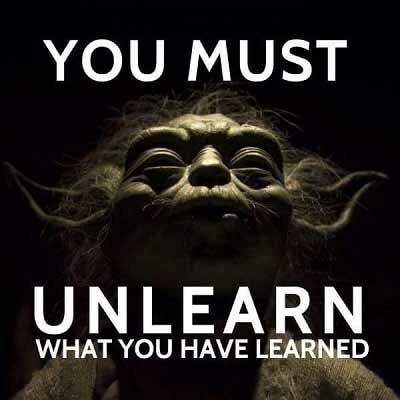 And for the Light to be victorious, we must unlearn all that we have learned. We manifest our own reality with our belief systems and the beliefs of those controlling us. Some of these are millions of years old, some of them are thousands of years old and some of them are new. This is the reality of The Matrix. These belief systems and programmes need to be deconstructed. There are several layers of programming. We as humans have been programmed in many layers from our 1st incarnation on this planet. We have surrendered to the implant process during reincarnation. It was the only way to come here, but it distorts our view of reality. Implants are part of the first layer of programming. An implant is an energy crystal with a strong electromagnetic energy inserted into your energy field. They were inserted many lifetimes ago during the quarantine era of Earth. It disconnected us from Source, from your Higher or True Self, from your Light inside. In a way it created a split personality: your True Self and an artificial self. We all have schizophrenia to a certain degree. All false belief systems were built on this primary split and inserted into these implants. In a way you could say that it is your implant you call ‘you’. It is the primary mission for everyone of us on the surface of this planet to heal this split by disconnecting from our ‘false self’ and connecting with our own True/Higher/Inner Self. As you connect with your Inner Self, you deconstruct The Matrix programming. The second layer of programming concerns the split between the male and female polarities. This manifests in many different ways and creates our current human society. Almost everything that you have heard, read and seen is a lie and not the truth. You are living in an artificial environment created by archons: our controllers, the Fallen Angels. Our body, mind and emotions imprison us and we need to free ourselves. We are now creating a prison break and deconstructing this prison, which is quite sophisticated. It has been in operation for the past 25.000 years. Our controllers created very advanced programmes to control the masses and keep us enslaved. When you use the tools given to you during this workshop to liberate yourself from The Matrix, things will not be easy at first and can be very challenging. However, in the end it will be extremely rewarding as no one can enslave you anymore because you become yourself, your own True Self. It is the purpose of this workshop to make you understand that you are a Divine, Sovereign and Free individual/being that will help/begin to create the breakaway society on the surface of this planet. The worldview you have received is extremely limited. All you see, read and experience is just a tiny fraction of actual reality. When you look up to the sky at night and you think you see the Universe, all you actually see is a very small part of our own galaxy. 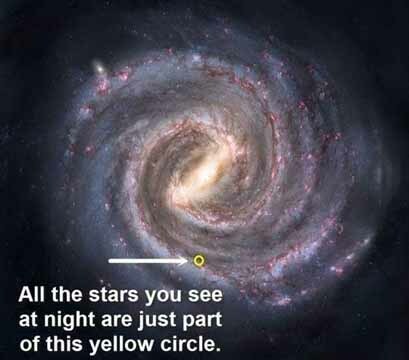 And there are a 100 billion galaxies in this Universe, so there is much more out there. We need to expand our perspective considerably beyond the yellow circle. Part of that which you learn here comes from beyond the yellow circle. Q: How do you know that the ones that are doing this [i.e. controlling us] are Fallen Angels? A: When you are connected with your Higher Self, you will know. Q: archons, what are they? A: Once they were angelic beings who chose to experience the primary anomaly, but they lost connection to Source. Q: Do we not need Darkness to know that Light exists? A: No, that is a construct within this earthly realm (i.e. duality consciousness). Light exists because it is absolute, it is unconditional. Q: Free Will: how effective is it when we are not connected to our Higher Selves? A: You can use your Free Will to the extent you are connected to your Higher Self. It is the level of disconnection which determines where you cannot use your Free Will. But you always have free choice and you can use that to expand your Free Will. The area you can use for your manifestation is the so called ‘sphere of availability’. Use your Free Will and you can expand your sphere of availability. There are no limits to this. Q: When you mean Light, do you also mean Love? A: Light and Love are two aspects of the same Source that has created (aspects of) this Universe. The meditation of 21/1 was the most successful meditation ever: we had manifestation. It was a game changer for this planet and will lead to our liberation. It is also why this workshop to create our New Reality is even possible. The energy coming in now is coming from the center of the Universe: the Cosmic Central Sun. It is a response to our call to end all suffering on this planet. It is taking too long. Cobra is also aware that this is taking too long: “I am usually very patient but even I am not that patient”. Nevertheless we will keep going, we have to do this and not give up. This New Energy coming in is transforming our planet and all that is here. The central sun of this Galaxy is the source of Love & Light for this planet. Cobra was asked by the Pleiadians to bring one aspect of this energy to this planet: Tachyons. Tachyons are the first particles created during the birth of the Universe and the most direct connection to Source. Tachyons are subatomic ‘love’ particles that travel faster than the speed of light. They are not susceptible to magnetic forces or gravity. They only interact with a strong nuclear force. Tachyons change the interaction with physical matter and as such, the properties of physical matter on a basic level, the quantum structure (i.e. they permanently change quantum properties of atomic nuclei which compose that matter). Tachyons create a link between physical matter and Source: they connect all cells to Source. Tachyon Goddess collection: jewellery collection designed to bring Goddess divine feminine consciousness to humanity. All crystals and jewellery have been tachyonized. The Soul Family structure is the way societies across the enlightened Universe are organized and is the key to create a harmonious society. 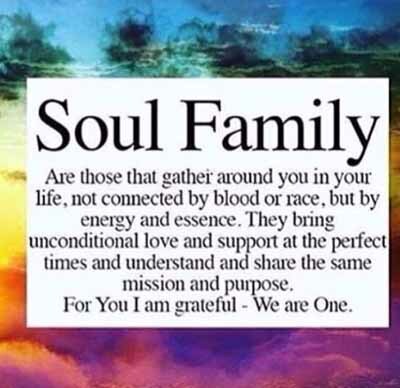 Soul Families are groups of beings of similar origins and soul structure connected on a Soul level. Several decades ago members of the Resistance Movement were given instructions for Soul Family resonance. The purpose was to harmonize their relationships. They were not reluctant to do so and it took them 4 to 5 years to transform their society. By following the instructions and through inner and societal work they managed to create a society without conflicts. These same instructions will now be given to the surface population of Earth. The surface population will be going through the same process of restructuring. Years ago Cobra received this information and was asked to initiate the process but said “forget about it”. However, now he feels it is time to start this process. The current population on the surface of Earth is very disconnected and fully controlled by The Matrix. The basic understanding of ‘connection’ on the surface has been very distorted. The movie ‘The Matrix’ shows quite precisely what is happening on planet Earth: every individual protects The matrix of the planet, just like the agents [Mr. Smith] do in the movie. Everyone is an agent of The Matrix. Everyone. People have internalized their enslavement because The Matrix is constructed in such a way that it is risky to break free from it: you get into trouble. You break through the programming. In the short term that is hard. In the long term it is very rewarding. However The Matrix reacts: it will try to do anything to hold you back and push you down. You will be controlled by your spouse, your children, best friends, even your pets… they are all programmed to control you. However each time you do something else outside the programming you break free a little. First there is pain, but when you break through, you expand your sphere of availability more and more. This creates options and the connection with your True Inner Self expands. Thus: either we listen to our fears and pull back, or conquer our fears and go forward. Our key here is to change! There will be a small group of pioneers among us that will break free and go this path of change. They will create Bubbles of Heaven. Through Cobra’s Entry Protocols blogpost it became clear for the Resistance Movement that nobody on the surface was ready for this. Some of the Entry Protocols will be used to prepare you for the cultural shock that will happen when you actually meet a member of an Extra Terrestrial race. For instance, the Pleiadians are a different species. Meeting one of them will give a shock and people may freak out. The situation after publishing of the Entry Protocols blog made that clear. Even the ones that thought they were ready, were not. Reading a blog is easy and you may dream of a ship landing on your premises. But when a ship is truly landing in your backyard it is quite another story. Let alone interacting with a member of an ET-race and their societies. There are 350 people in this workshop. Only a small percentage will go through the whole process. Others will follow a step-by-step approach. During The Event they will be the ones that will have to face ultimately what they have been denying. They will need to look at the illusion of reality and how we have been manipulated by the media, the financial systems, everything. That will be challenging but it is also the easiest part. The second level is to realize the existence of other intelligent, extraterrestrial life and being presented with that life, thus accepting this as real, not as just something fictitious portrayed in books and movies. This will chatter belief systems. The third level then is learning about how much darkness there was on the planet and what has been hidden (e.g. child abuse), what has happened and the amount of suffering it has caused. The next level after The Event is that people will have to get face-to-face with their sexual energy. Manipulation of sexual energy is the basis of The Matrix and will be the hardest for the surface population to deal with. Everyone has to go through these levels. The process is already ongoing, will culminate at The Event and continue after The Event. The key to stabilizing this process is to start gathering in Soul Families. Connect with our Inner/Higher Self. Connect with the Inner/Higher Self of others applying the principles of Inner/Higher Self connection. In the timeframe from 2012 to 2019 we were in the first phase of transition. This has been a heavy process of intense purification of the planet which cleared a lot of darkness but for many people it was too much, resulting in many attacks on and conflicts among Lightworkers. Such conflicts, as attacking another Lightworker, are only possible if you are not connected to your Inner Self and do not understand the Soul Family concepts. Soul Families go beyond these problems: they do not have conflicts. Everybody is your Soul Brother and Soul Sister. It is a basic principle of connection. You need to treat everyone as one and meet them from the perspective of a Soul-to-Soul connection, not from the perspective of a human being connecting to another human being (with all the labels and false personality structures that come with it). We are far more than human. The Soul-to-Soul connection is the basic connection everywhere in the Universe. On this planet we relate to each other through the programming of The Matrix. The human mind is organised this way, it labels conform perception. This is very ineffective. When you use your mind conform the programme of society i.e. The Matrix and analyze by thought concepts, you do not use your Higher Self. You do not get the point in that case, you get lost and cannot see someone’s real True Self and Soul. Most, say 80 percent, of the information you hear about someone else is not correct. Basing your perceptions on this incorrect information leads to misleading assumptions, judgements and conflicts. However, if you use your mind as a tool to express your Soul, you perceive a person as is. Go inside for information. On a Higher Self level you perceive the reality of another person beyond the concepts of the mind. The most advanced individuals, a small percentage on this planet, are now making this quantum leap. Before this planet was occupied, society was primitive but (unconsciously) connected on a soul level. It was not evolved, but the whole community was one being. Children were raised by the tribe = concept of a Soul Family on archetype level. The archons introduced the biological system to control us, i.e. the blood family structure to control our DNA. This in its essence is a closed system. In accordance with the laws of the Universe, entropy in a closed system always increases, meaning: problems increase. The biological system has thus resulted in increasing psychological problems which have been transmitted through the blood into the family structure. To resolve this we need to start interacting beyond our blood family structures. Because many relationships are based on The Matrix, this is the first step in the breakthrough. We need to expand beyond the conception of biological families to the concept of Soul Families and connect and interact on a soul level. This means you connect with the ones you recognize on a soul level and sparkle with. This will be the new reality and basis of new society for everyone after The Event. It does not mean that biological families will stop existing. Some will transform, others will expand, etc. but all will inspire to connect on a Soul Family level. It will provide a different perception of reality. It will change relationships. There will be many changes after The Event. Especially matrix constructed families and relationships will change drastically. A filtering will take place: everything that is true – of Love and Light – will increase. Everything that is false – of Fear and Dark – will diminish and disappear. The main guiding light thus is that whatever is of Love & Light will remain, and whatever is of fear & darkness will fall apart. In the end, all illusions will dissolve. Q: Why do we need ‘resistance’? Isn’t ‘existence’, meaning just ‘being’, enough? A: Resistance is necessary against darkness as planet Earth is, to a large extent, still anchored in duality. Without the Resistance movement we all would have been in concentration camps long ago. Q: You said the ‘most advanced individuals’ will make a quantum leap. Who are they? A: Everybody here. We are the ones making this breakthrough. Q: How do I connect with traumatized people? A: Relate to them from a soul to soul level. This heals. Q: How many Soul Families are here in this room? 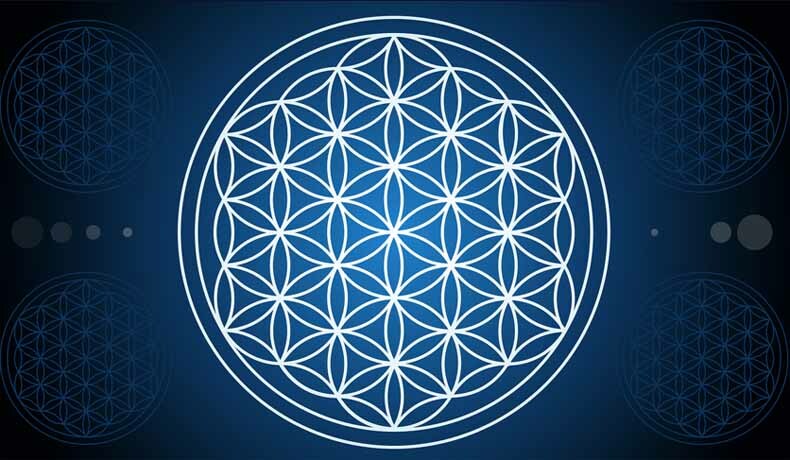 A: There are many interlocking Soul Families here, it is a network: a universal cosmic network of Light. Q: Is there contact with Inner Earth society/societies? A: Information about operations about liberation of the planet is classified, this intel does not benefit humanity as people tend to sit back and not act. People on the surface of the planet are now instructed to create and organize themselves in Soul Families. Everyone meets Soul Family members – soulsisters and soulbrothers - in their life: they are the ones that have a similar journey to yours. The next level of connection are Soul Mates: beings you meet in e.g. your spiritual groups and in your Soul Family. Soul Mates have a stronger connection: they are deeply connected on Soul Level. Usually they are incarnated in opposite polarities. Their strong magnetic connection on soul level comes from a 6th dimensional source and is very powerful. There are basically two reactions when Soul Mates first meet. The way you react depends on how ready you are for this type of connection. They come together and the strong attraction and energy will initiate a strong purification process. The Soul Mate will trigger your programmes and all comes to surface. However, a Soul Mate connection generates the strongest energy and healing possible on the surface of the planet, and if both work on themselves and on transforming their inner shadows, they will influence and help transform the planetary situation. The archons will do anything to prevent Soul Mates from coming together. They intercept e-mails, block the cars, create accidents, they can even go as far as killing one of the two Soul Mates. We are still in the war zone but after 21/1 it is safe for Soul Mates to be together and create a new reality. A Soul Mate connection initiates a deep transformation on Soul Level. They meet and feel a strong attraction and connection but it feels uncomfortable because much is triggered. The Matrix control system programme kicks in: the Runner and the Chaser. 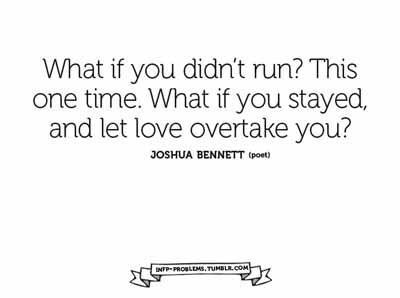 Advice for the Runner: stop running away. Go inside and look at your fear and use the Violet Flame to transform it. Release the trigger and find out what is going on. It is a lesson. Go meet the Soul Mate and talk about it. This can be scary but it is okay. Advice for the Chaser: stop chasing. Look inside at what is there and transform it. Then start manifesting your Soul Mate from a Soul Level Perspective. This leyline is also known as the Goddess Leyline. It is the entry point for the Goddess Energy on the planet. The Light Forces are liberating this line from negative events in its vicinity. 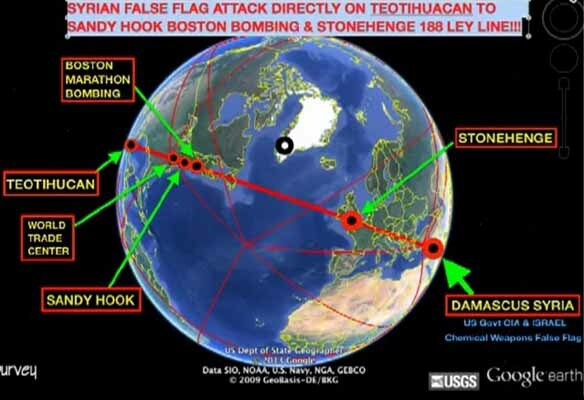 Locations on this leyline connected to important vortex points on this planet are for instance: Damascus Syria, Versailles, Stonehenge, Boston (Marathon), New York (WTC, Sandy Hook) and Teotihuacan. War is continually created on this leyline by the archons. Syria has an important and strong energy vortex. This vortex is holding the energy of the Mermaid Goddess. She comes from the Syrian Star System. It is an elegant energy of Divine Grace. Through all the conflicts created in the Middle East this energy has been suppressed for 7000 years. Leylines are a vital part of the Earth’s Energy Grid. The Energy Grid surrounds you and is with you all the time. Every living being on this planet is connected to this Energy Grid through their Life. Everything happening in relationships has to do with this Energy Grid. It is here to control and nourish your life force (also called: kundalini), it is the source of life and the source of the energy field of your Light Body. The Energy Grid is sourced from the Galactic Central Sun, which is the source of Love and Light in our Galaxy. But there is all kinds of AI technology in place to hijack, use and control our Life Force. For example, in 1991 during the Gulf War a lot of negative energy was harvested through an enormous discharge of emotional trauma and sent through these leylines. As of 21/1 Cosmic Light Force is entering the Earth Energy Grid. Everyone is being affected by it. This flow of Cosmic Energy will grow stronger and stronger. What is false will fall away, what is true will stay. We will need to let go of concepts and belief systems, accumulated during many incarnations for thousands of years. Many belief systems are of a religious nature. Part of our minds is part of The Matrix. When you see fear, transform it in the next years. As the low vibrations caused by fear will feed into the Energy Grid. The Matrix fed the Mermaid Goddess leyline with fear and negative energy for thousands of years. When Soul Mates manage to go beyond The Matrix programming they create a sacred energy resonance field of Heaven on Earth on all levels. Their connection creates a strong vortex point on the planet which starts transforming the Energy Grid on the planet, which is one of the Mysteries of the Goddess. The Mysteries of the Goddess are the key to transform duality. 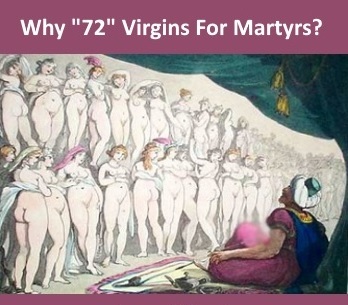 The archons are aware of the strength and power of this connection and prevent it. Instead, they promote the Twin Soul Fantasy, a Matrix programme to make you believe that a certain person is your Twin Soul. Hollywood movies support this scenario. This programme is mostly activated on the female side. Some aspects of a man activate the programme. Then the female projects all her yearnings onto that man and is programmed to get married, after which the problems start. This meditation will align your energy field with your inner purpose. You will connect to a higher dimension and draw that energy towards you, allowing you to observe, feel and hear from Soul Level. This will put all your relationships in perspective and it will align them. You will start to relate to and connect with yourself and others in a balanced way. Do this meditation regularly, e.g. once a week, to support your ascension process. After a couple of months the connection to your Twin Soul is crystallized and you will be able to recognize its energy instantly. In the initial period you may encounter Matrix programmes, but these will disappear as the connection with your true Twin Soul is crystallizing. Do this regularly and it helps create the Soul Family Mandala. Q: How should I imagine my Twin Soul? A: You connect on Soul Level, through the heart chakra or third eye. Practice once a week; it takes a few months to clear distortions. Q: What is the difference between the meditations we do here and Buddhist meditations? A: Buddhist meditations are meant to transform the primary anomaly. Our meditations are directed towards anchoring Love and Light on the planet by conducting the divine feminine energy that is coming in from Source through ourselves onto the planet. A question was asked about Untersberg. Cobra answered that Untersberg is connected with the grail and that it is, or connects to, a portal with special energies. This is the place where the Secret Space Program started in 1919. It will have a special function after The Event. Another question was asked about the Mayan Calendar and how accurate it is. Cobra said that around 600 BC the Maya civilisation disappeared into the Agartha network and that their calendar was given to them by the Pleiadians. Some of the Mayans are still in Agartha, some of them are in the Pleiadian Cluster.